Sale Alert: Macy’s VIP Sale – 20% Off! Last fall…well, last fall didn’t really happen. I thought I’d need new boots since my favorite cognac riding boots are totally dead, but fall and winter were so short last year that I was able to stretch my dead boots to deader than dead. HOWEVER, this season’s a different story! Macy’s is running their VIP sale riiiight now and I am soooo down to buy boots from Macy’s. 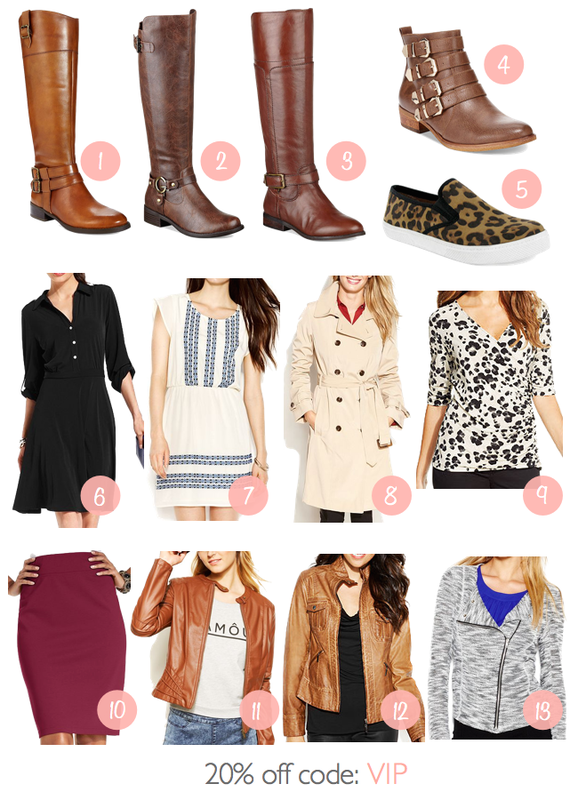 I’m teaming up with Macy’s to show you what I’m eyeing and some that I’ll be trying. A lot of these are already on sale which makes the EXTRA 20% VIP discount even sweeter. Ahhhh! All come in multiple colors (black and other shades of brown). Also in black. I LOVE the character these buckles provide! If you missed me singing praises about my leopard sneakers, I <3 right now. These are another great option! These dresses–one is a classic, tailored basic while the other has cute embroidery. Both are on major major sale, plus the extra 20% VIP discount. Crazy! And if you think the white embroidered dress would only work in spring/summer, think again! 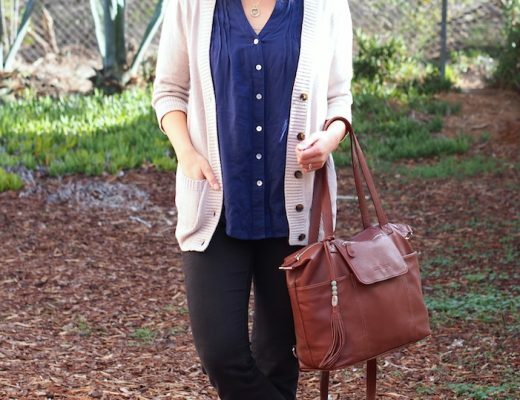 Brown tights and boots with a navy cardigan = perfect for fall. Classic and classy trench! I ALWAYS want a trench but have below zero need for it in San Diego. It never stops me from looking, though! Sophisticated animal print top, also on major sale. Easily pair it with classic neutral trousers or a pencil skirt of any color for an office look, or go with a faux leather jacket and dark wash skinny jeans for going out. I’ve wanted a skirt this color for a loooooong time, and this one is ponte! Even better! Comes in 5 colors, and is also on major sale. I’m often asked where I got my cognac leather jacket and am always on the hunt for good, affordable options. Option 11 is another super sale item. Option 12 is a little more expensive, but is alllllright price-wise after the VIP discount. Both come in black. Option 13 is a cool textured jacket that I *think* is a soft knit type of feel, but I’m not sure since I haven’t seen in in person. Either way, it’ll give a lot of character to your outfits! Remember the sale is online from 9/15-9/21. Get an extra 20% off with code VIP. 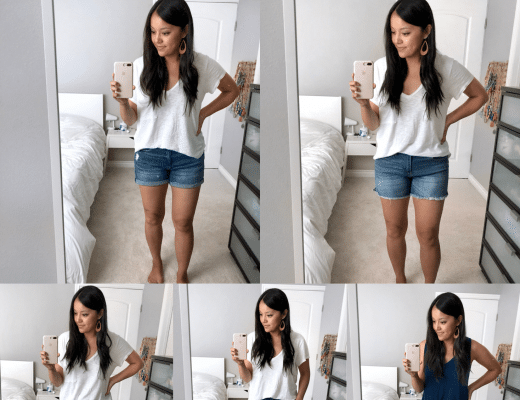 This post was in collaboration with Macy’s and PopSugar. All opinions are mine. For more info on PMT’s sponsor policies see disclosure page. Ohh I love the boots and the trench! How do you create the photo with multiple images? I'd like create a similar one with resources for my blog. #12 is great! Just a little pricey, but if you've got a gift card then DO IT! For the collage, I use the program Pages on my Mac. Then I take a screenshot of it to make it a JPG or PNG. Ooo, but I did find that it is in stock in my local store! Any tips on making this work for fall? Haha–I wrote tips in the post for how to make the dress work for fall. 😉 Brown tights, cognac boots, and a navy cardigan. Or mustard, maroon, or grey cardigan! ah of course you did! clearly i'm a more visual reader- thanks! I love this selection! I manage to wear my Anthropologie trench in Florida, but that's because I'm a wimp. Ha! I was in Macy's yesterday buying shoes coincidentally. I had no idea there was a sale. It was like flies on you know what over there. 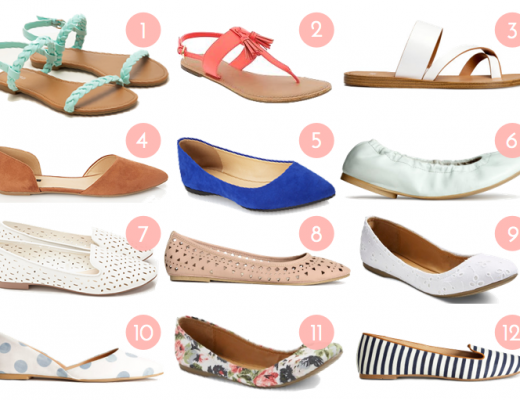 I had an hour to look at every single shoe (because I can't focus) and it was driving me crazy. Fortunately, Iman the cute shoe guy took care of me. Those poor sales guys need to be very athletic running back and forth to the stock room for throngs of crazed ladies. In the store it was 25% off if you bought two pairs and a lot of the shoes were already on sale. I wish I had realized and I would have looked at boots while I was there. Bummer.